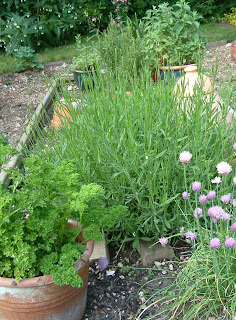 Old Fashioned Gardens....Big & Not So Big! Followers of this Journal will know that I love gardening. I simply haven't been able to spend as much time out there as I would have wished in 2012 though! Needless to say, it has rather more of a "rambling" look than ever these days. But you know....yesterday, whilst enjoying a much needed coffee break out in the sunshine I had a few moments and REALLY looked at my garden through different eyes....and realised that if I ignored the weeds, the broken bits off my lovely ancient arbour, blight on my box hedge etc..... suddenly it doesn't actually look too bad out there! 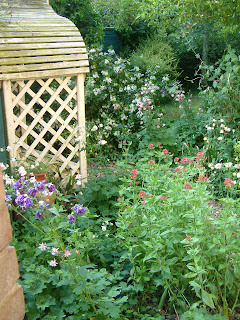 This year I seem to have more Valerian and Acquilegias than ever before! Nature has worked magic and they have seeded all over the place......wonderful. 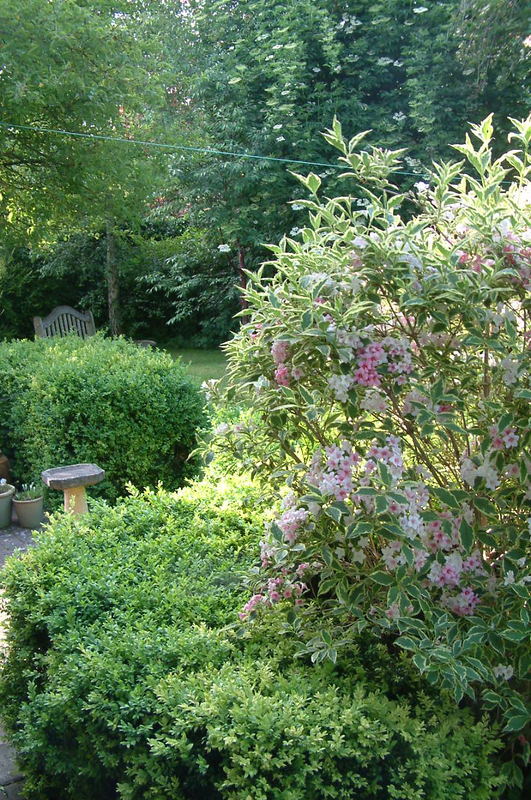 My Choisya in the background is magnificently in bloom and the heady aroma is delightful. At last, my garden has that real old fashioned country garden feel to it and am chuffed. 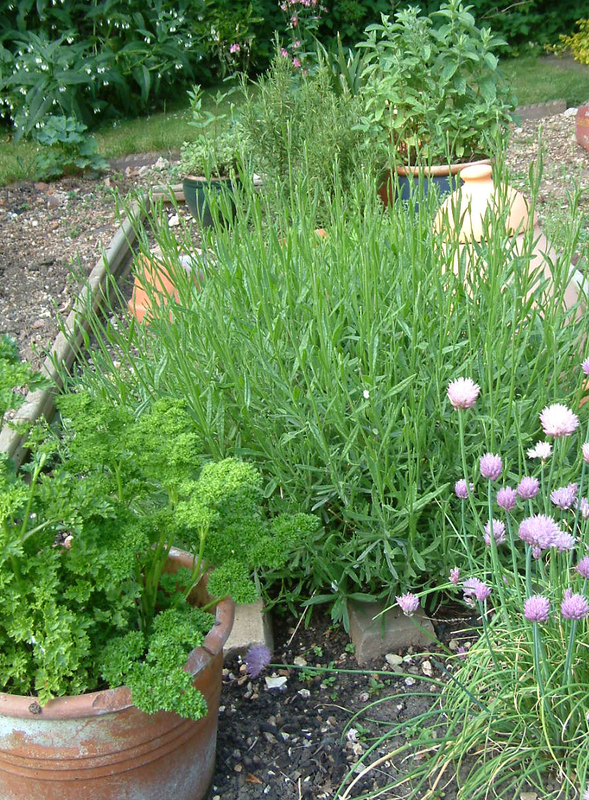 Even my newly created herb garden from last summer is looking rather nice and well established. I have a huge container of pebbles sitting on my front driveway, currently waiting to be carried round to the back for the herb garden pathway. Hmmmm....guess who will be doing that! They have to be carried en route through the garage in order to get them round to the back. Trouble is, the garage is currently jammed pack with junk that will have to go to the skip first. I think I'll need to eat double or even treble portions of Weetabix to summon up the energy for that little job! We've finally got round to creating our latest Nostalgia In Miniature Workshops promotional video. This time it consists of a compilation of photographs from all four workshop projects in our Little Vintage Garden Workshops Series. 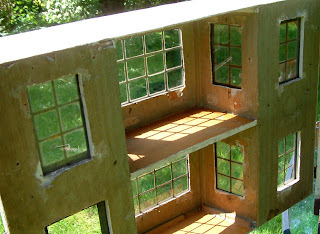 We ran with this theme from last June 2011...culminating in an all day Little Old Garden Shed Workshop at Waterperry Gardens earlier in March this year. Hope you like it! 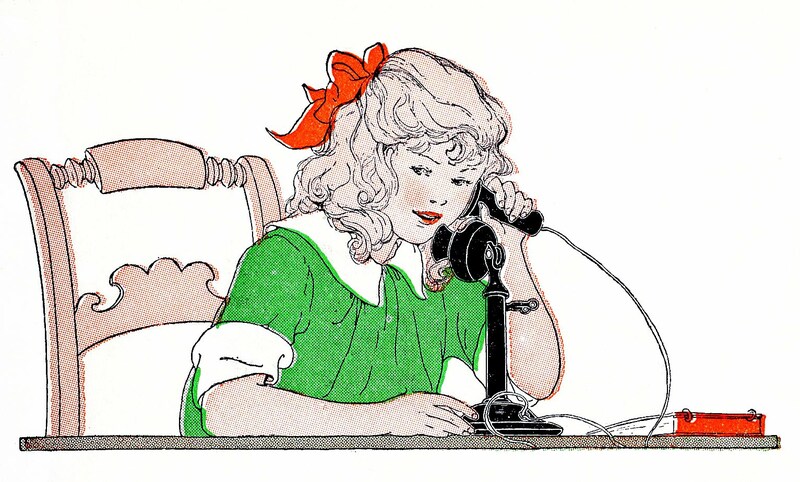 First of all....I am chuffed to say that our phone line is back up and working.....hurrah! (Re Thursday's post on here). 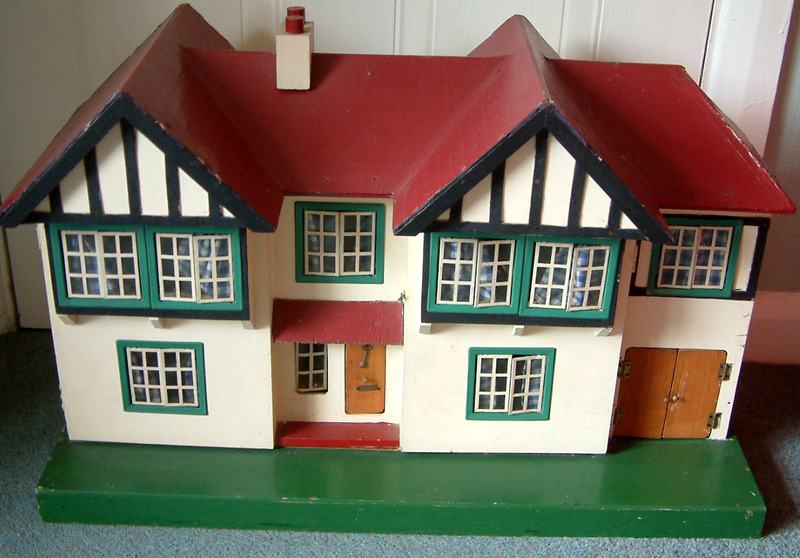 I am delighted to announce that I have a gorgeous and quite rare G&J Lines No 71 dolls house for sale as from now. 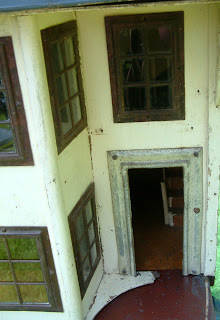 It is a large front opening dolls house with two large rooms, original fireplaces, original wallpaper that was found underneath layers of other wallpaper, original flooring paper (rather faded), stairs, interior doors, all glass glazed and metal framed windows intact including a beautiful attic window. There is a hall with a staircase up to a landing. 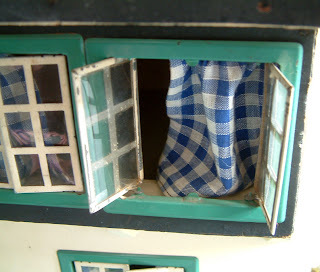 A beautiful attic window with original lace curtains is a real feature of this dolls house. 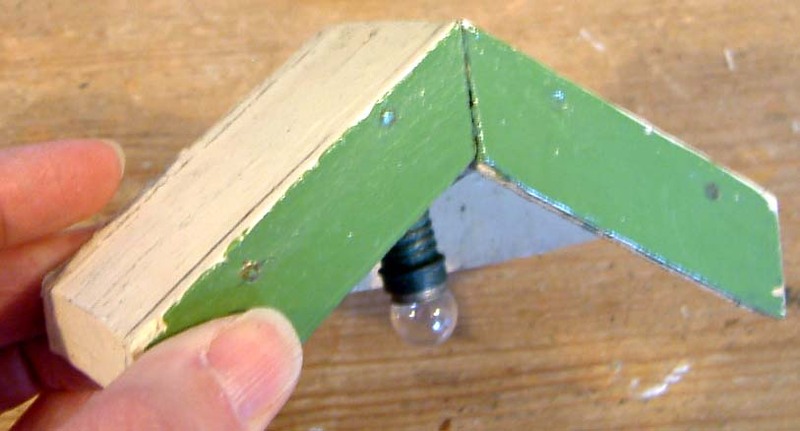 Actually, there is no attic but this has cleverly been created to give the illusion that there is one! 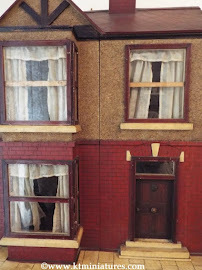 This house appeared in a Gammages advert in 1915 and is well over 90 years old so can be forgiven that it's front door is missing and a tiny balcony above the front door is also missing. 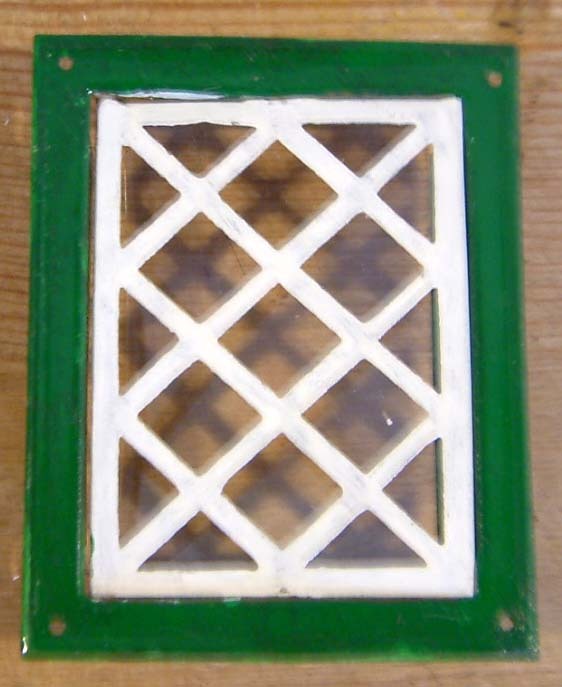 It is understood that the door would probably have been metal and maybe the same colour as the window frames. Original wallpapers were found under layers of other wallpaper. There is some residue of other wallpaper still visible but with lots of patience, this can be removed if necessary. Much can be hidden with carefully placed pictures, furniture etc. Antique lace curtains hanging at the windows would look fantastic and whoever takes this on can have great fun furnishing. Below is a short video made with still photos of this house. 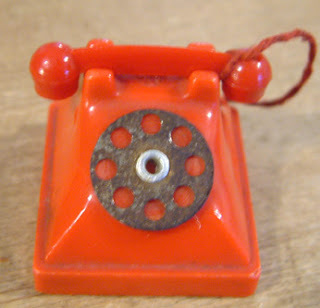 Our Phone Line Down - Customers Not Able To Ring! 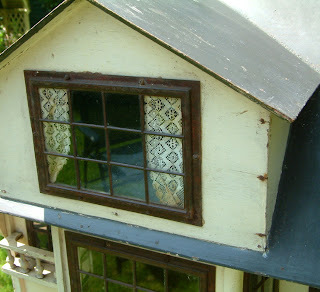 Just listed today on KT Miniatures website is this lovely little Tri-ang No 62 dolls house. It is in great condition. 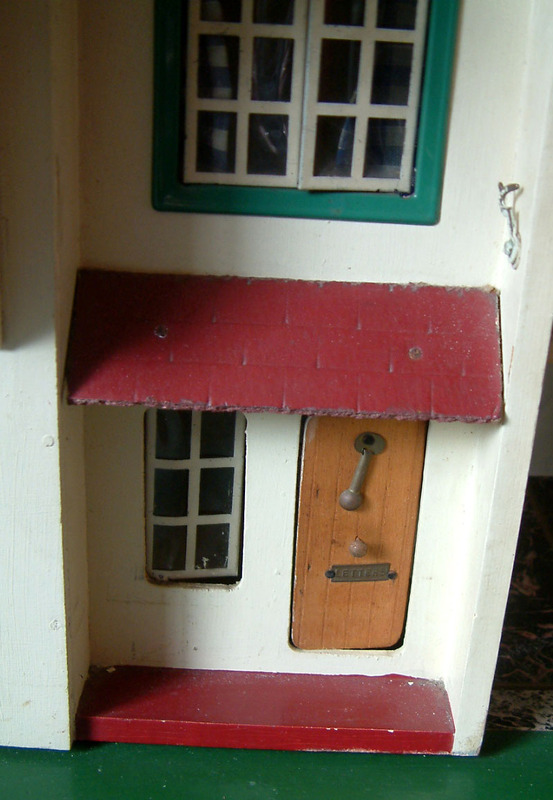 Has only ever had one owner and has been a much cherished dolls house. But now the time has come for it to move on and find a new owner. All the windows are present and correct....even that elusive small single side window to the left of the front door! 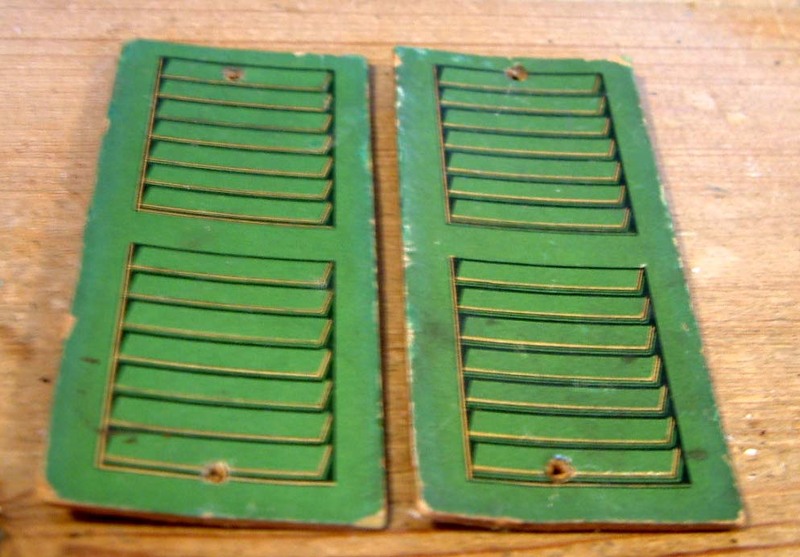 How many of us have these No 62's without that tiny window? 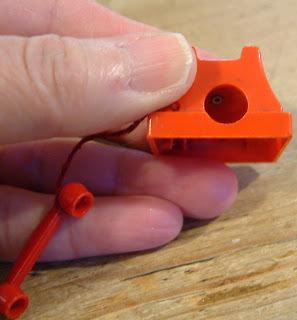 Personally I think it was a design fault on Tri-ang's part.....as the two tiny tacks were simply not enough to keep the window safely in place! The interior was re-decorated with 1960s/70s wallpaper, including flooring. 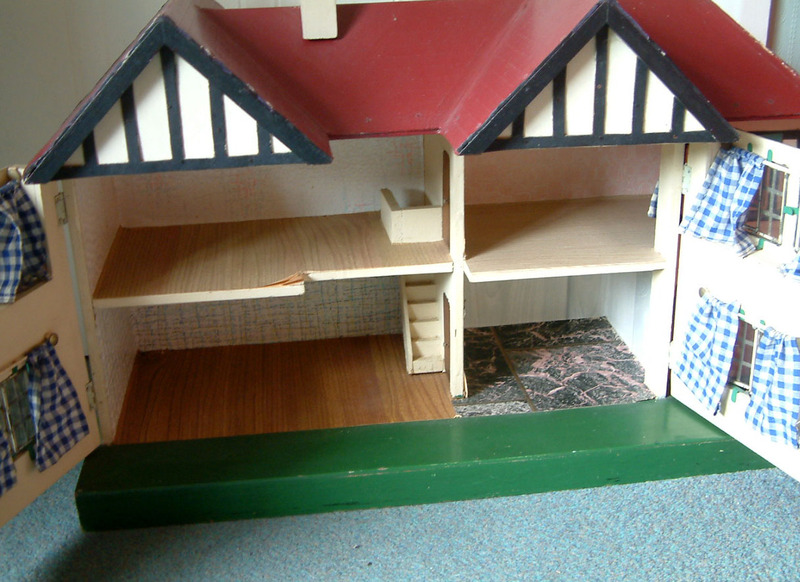 It maybe that the original is underneath but even so, you could move straight into this dolls house without the necessity to re-decorate. It is very clean and in such good condition. A really nice touch is this little vintage car in the garage....the previous owner thought it only right to leave it with the house. This little house is now up for sale on KT Miniatures. As always I strongly recommend that this is picked up from me in person to avoid any risk of damage in transit. However it would be possible to post (UK only) if necessary. Oh my goodness....when Molly, my beautiful black and white cat appeared yesterday morning for breakfast, she was decidely a lot blacker than when we'd last seen her!!! We didn't know whether to laugh or cry. 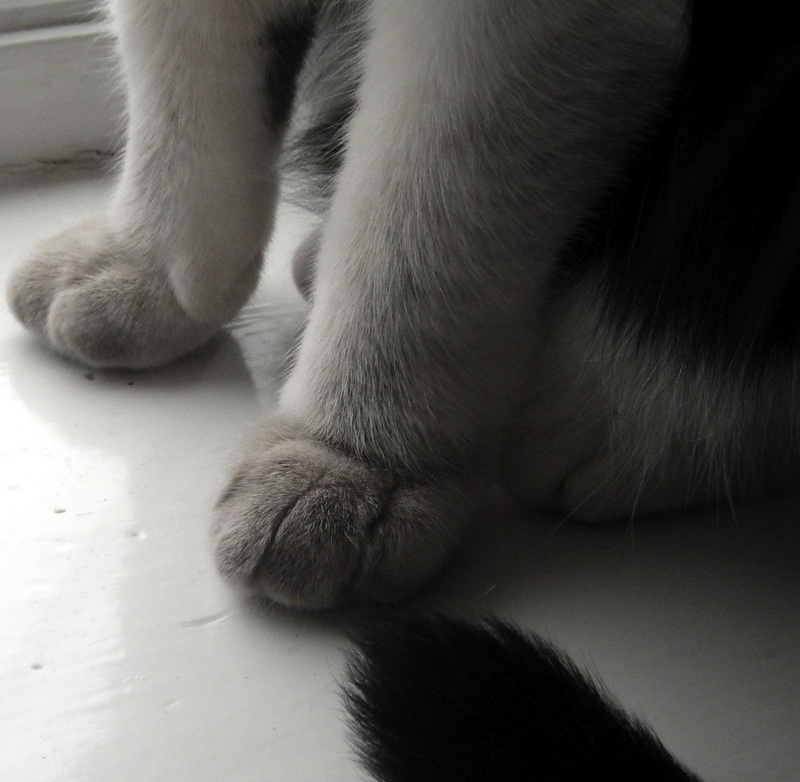 Her legs, paws and around her face were black.....where they would normally have been white! At first we hand't a clue what the black stuff was ....but then on closer inspection realised it was some sort of black dust. 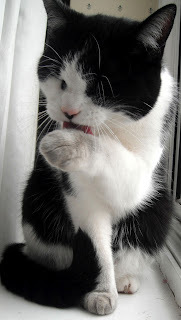 A friend suggested that maybe it was soot and that same friend suggested we try and wash her legs/paws.Hmmm...seemed a good idea at the time, apart from which she was leaving sooty paw prints over everthing. Soooooo....never having ever washed a cat before, happily and confidently filled the kitchen sink with warm soapy water and between two of us, endeavoured to wash Molly's front legs and paws. Has anyone ever attempted to wash a fully grown cat before...even just paws and legs? To say it isn't easy is an understatement and obviously Molly was having none of it!! Even though she was wrapped in a towel (apart from front legs) with husband firmly holding her and I was gently splashing water over her front legs/paws she snarled, scratched, wriggled, you name it-she did it.....and got herself free in seconds!! So....she is destined to be Mrs Sooty Paws for a while. However, since yesterday, she has slowly attempted to clean herself and her face is almost white again (where it should be white). So too most of her legs.....it's just her paws now she needs to attend to. What I want to know is....where and how did she get herself so sooty!!! Maybe it's best that we don't know. NEW! 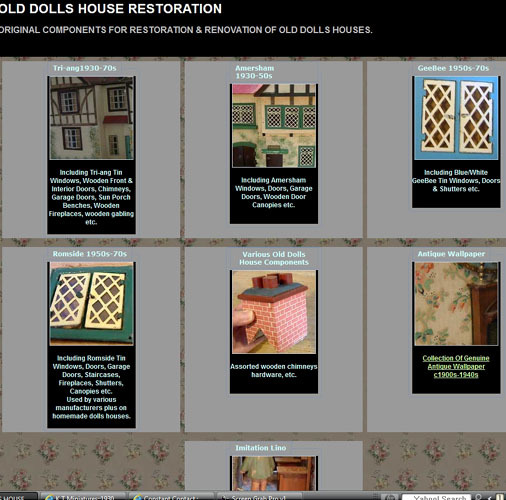 "Old Dolls House Restoration" Section On KT Miniatures. 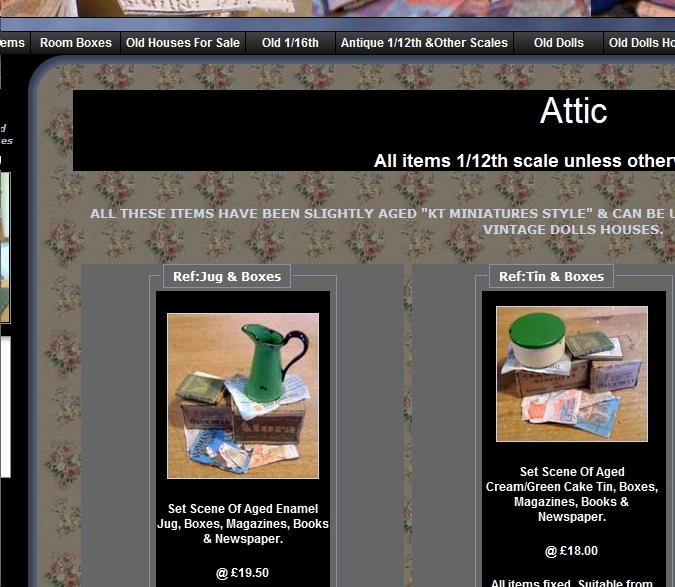 I have been tweaking this and that on KT Miniatures just lately, and have given a bit of a revamp to the website as a whole. Block colour has been added behind much of the text on many of the pages, in order to make it easier to read. Plus I am delighted to announce that at long last I have been able to completely re-organise my DIY section so that it is now aptly renamed......OLD DOLLS HOUSE RESTORATION. 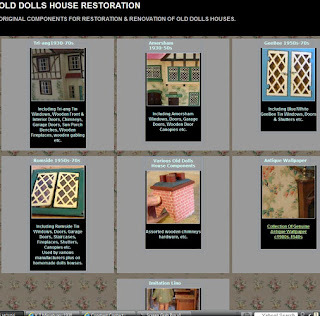 If you scroll along the top navigation bar to Restoration Supplies, a subheading will pop up called Dolls House Restoration. 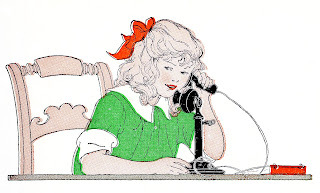 If you click on there, you will be taken through to a brand new holding page. 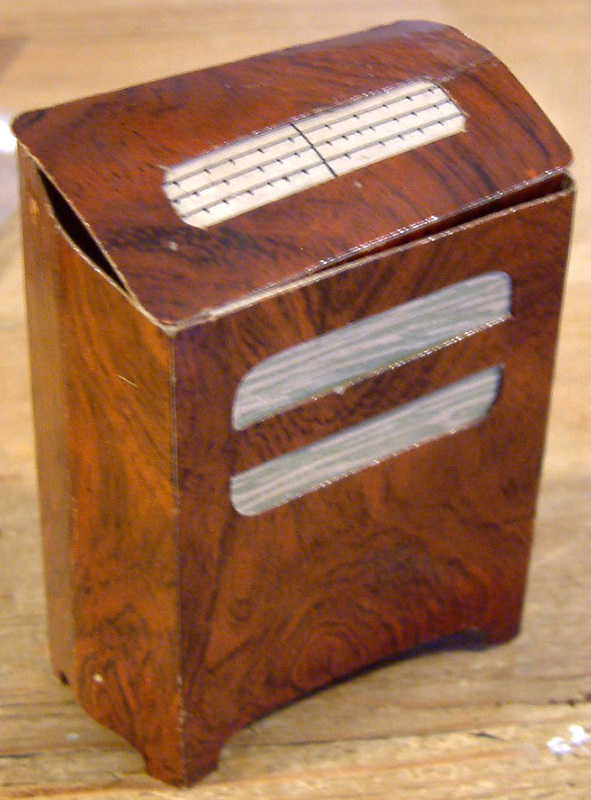 You will find various box links to entire pages devoted to individual makes, such as Old Tri-ang, Old Amersham, Old Gee Bee, Romside etc. 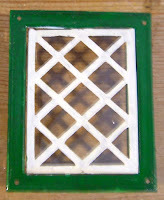 Today I have listed various tin windows from Tri-ang, Romside etc. 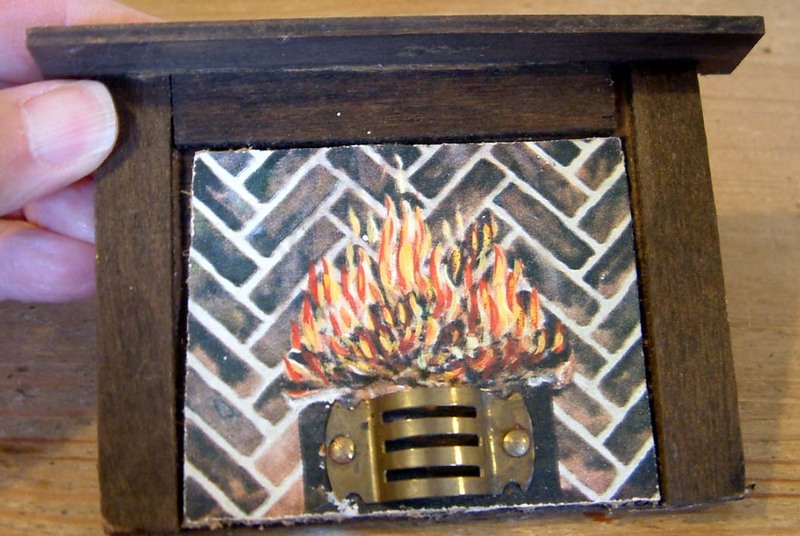 plus all kinds of other components such as Tri-ang fireplaces, Amersham door canopies etc. 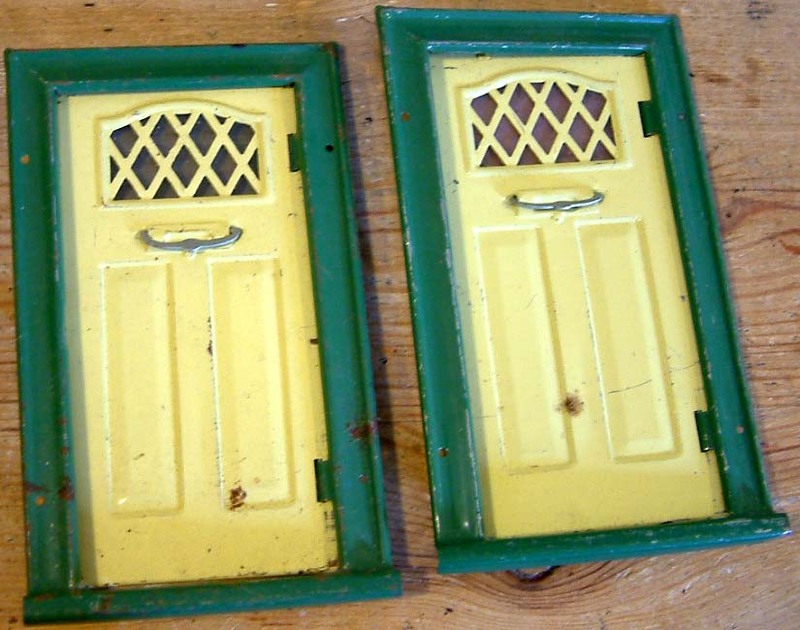 Various Romside tin components including doors, windows etc. There are even some Amersham dolls house items such as this tin window and a door canopy from an Amersham Art Deco dolls house. 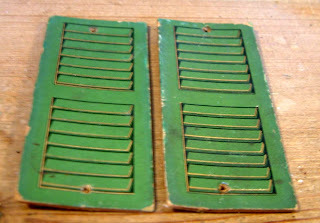 Hectic Few Days, Some Art Deco Treasures Found At KDF, etc! Unusually it has been well over a week since my last blog entry on here....the reason being that life has been a bit of a whirl during that time...in a lovely way! My eldest son is getting married next month up north, so there has been a little bit of to-ing and fro-ing between Oxfordshire and Liverpool of late. I must just tell you of a most wonderful place I stumbled across on my travels last week.....I felt I'd died and gone to heaven on entering!!! The shelves run from floor to ceiling literally, crammed packed with old books...plus along this long main corridor seen above, are loads of separate little rooms also packed from floor to ceiling with antiquated treasures! Needless to say, a particular book I spotted was on the last but one top shelf....so the lovely gentleman had to get his large stepladder out to get it down for me. I bought just one book, as I had to keep in mind that I was tavelling back on the train!! But I most definitely hope to be going back there again very soon. I did ask the gentelman's permission to take this photo and he was more than happy to oblige. He told me that often when people enter, they gasp and liken his shop to a scene from Harry Potter! I can see why. 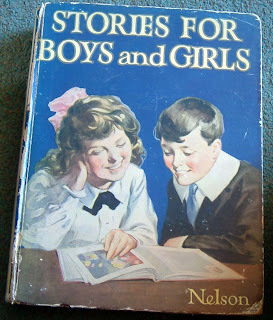 My one purchase.....the handwritten inscription inside says "To Irene From John & Tommy Christmas 1928". This treasure trove of a book shop is called Cheshire Books and can be found at Lady Heyes Craft Centre at Frodsham in Cheshire. They have a website....do go check it out! Our Liverpool trip was cut short as I had to dash back in order for me to go to Kensington Dolls House Festival on Sunday (my friend had got me a ticket and we were to have a real "girlie day out")...can recommend it. KDF was superb as always. 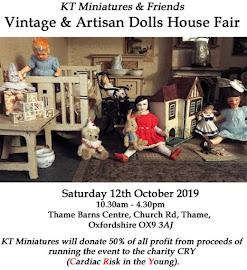 It was so nice to simply be a visitor to a dolls house fair and not be on the other side of the table, as it meant that I could spend time admiring the amazing miniatures on show and catching up with many of my old artisan friends. I was travelling by public transport again (Oxford Tube this time), so I had to limit my purchases, paricularly as I knew I would be bringing back bundles of wood from lovely Wood Supplies. Both Robin and I are in the process of building the prototypes for our next workshop in September (we have just two places left if anyone is interested-spaces have filled rapidly). I succumbed to a gorgeous Art Deco dish from Sally Meekins.......I already have one or two of Sally's exquisite Art Deco pieces purchased over the years. 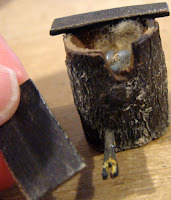 And then I came across a new artisan....well new to me as I just haven't seen them before. If you are an Art Deco fan then hold onto your hats people as you will be very excited over their work...they are quite unique. After much pondering, oohing and aaahing....I succumbed to a leather Art Deco sofa....seen here. 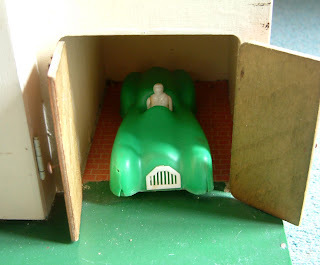 This could easily sit at home in an antique dolls house too. In fact I am hoping that it will fit into my Hobbies 1930s house....but it will mean my lovely Pit-a-Pat suite will have to go....big decision to make then! 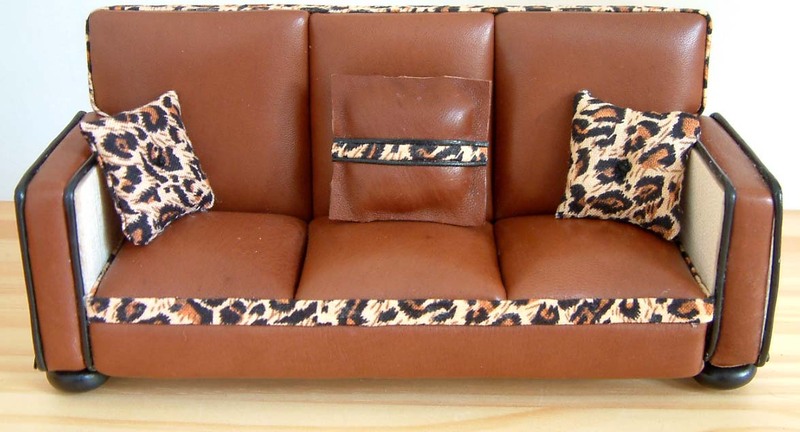 Here is another image of the sofa with the accompanying matching cushions. 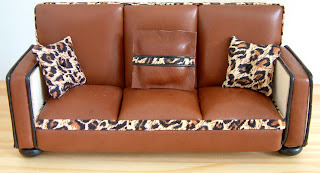 ADM (Art Deco Miniatures) produce the most wonderful Art Deco leather suites.They have a website with a gallery and Carol Tyerman can take commisions. Do go check them out. Since my return I have been quietly tweaking and tidying my website and hope you will like the changes. 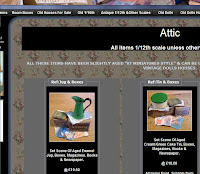 I am also in the process of completely revamping the Old DIY section too.....fingers crossed, this will be ready to unveil in the next day or so. When it's ready I'll let you know on here. 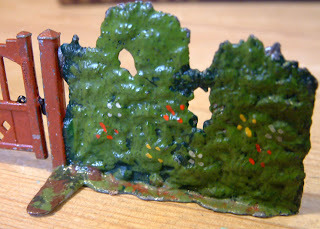 Exquisite Britains Lead Garden Gate, Hedge etc. Wonderful treasures from the Britains Lead Garden range do not appear that often these days. They are becoming more and more sought after and due to the sheer way they were constructed, were very much prone to damage in young hands. 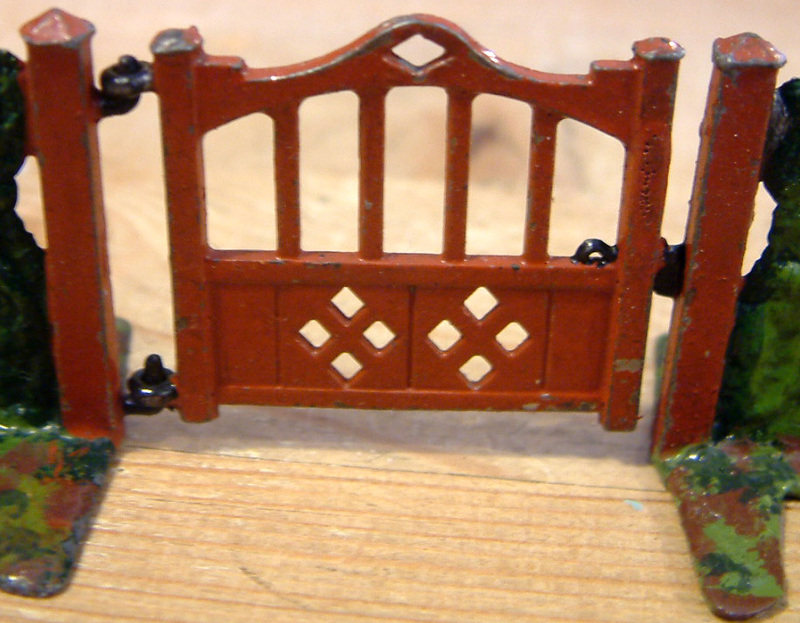 But a couple of items have come in, one being the exquisite swinging gate and hedge which ranks amongst my all time favourite from the lead Britains pieces....plus a tree! So evocative of the 1930s-1950s era when this was manufactured. 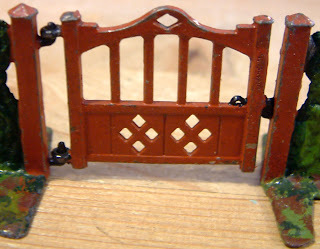 The little gate is attached to two hooks on one side - and in this case both are fully intact.....you have no idea how many gate and hedge sets that have one or other hooks missing these days! On the other side is a tiny false catch which protrudes just enough to enable the gate to stay in a closed position. The whole piece is painted in the most gorgeous colours which have retained their vibrancy after all these years. 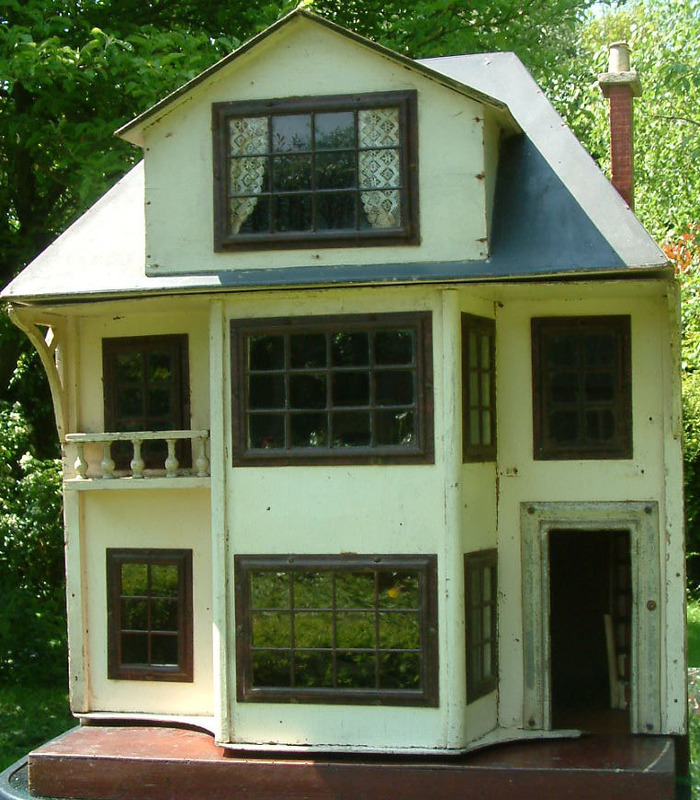 This would look amazing standing in front of an old dolls house. And then there is this tree. 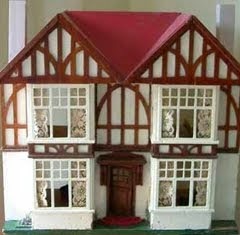 This example is extremely heavy and a little playworn but would look rather lovely standing with an old dolls house. 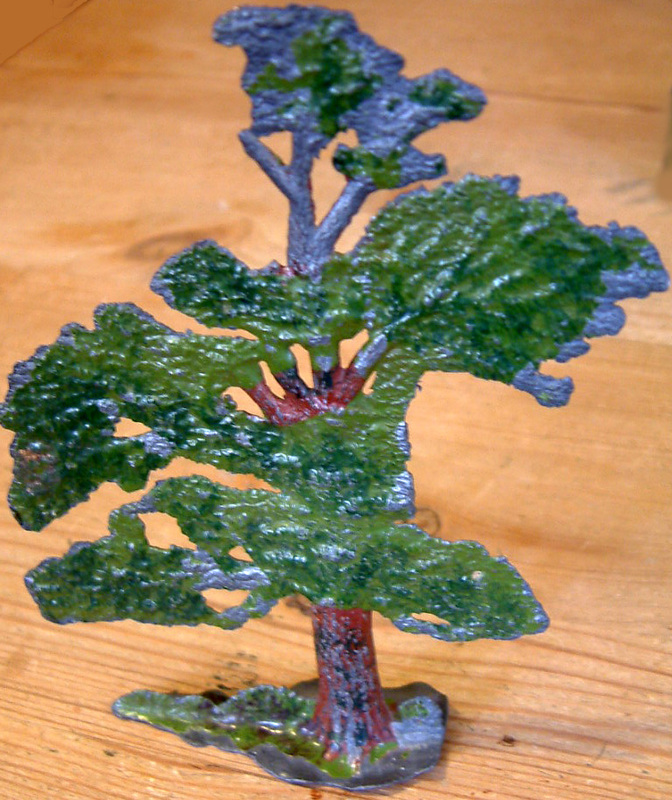 I have often wondered if any child back in those times ever got mortally wounded by these lead garden pieces? We are so used to modern health and safety standards being incredibly strict but this tree for example, would have made a pretty impressive weapon in small hands! Some Unusual Miniatures That Just Don't Come Along Very Often! 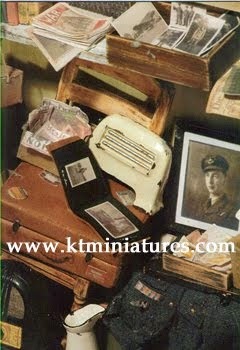 I've been busy listing some rather lovely old treasures over the past 24 hours on KT Miniatures website. Amongst them are some rather unusual items indeed. First up.....how about this then! In all the years I've been trading, I've never sold anything like this before and actually had it for a while because I didn't think I could part with it. But it's just sat in a box so I felt it was time to let it go. 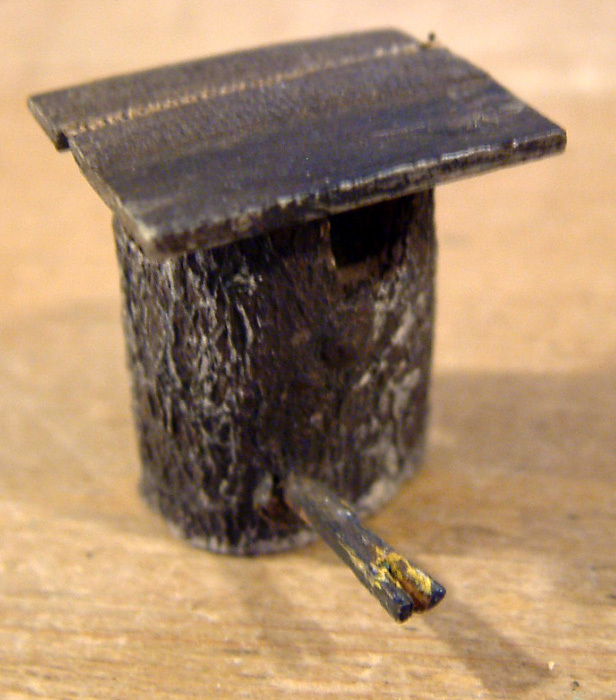 Nope...your eyes are not deceiving you....it is actually a miniature nesting box that has been carved out of a real twig/branch...complete with teeny eggs and woollen nesting! This would look brilliant hanging outside an antique/vintage dolls house. 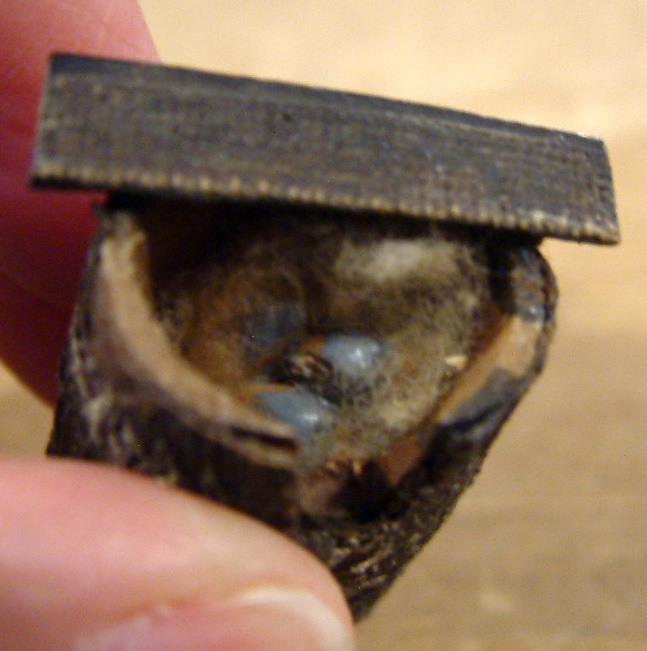 Then there's this very old celluloid/bakelite? 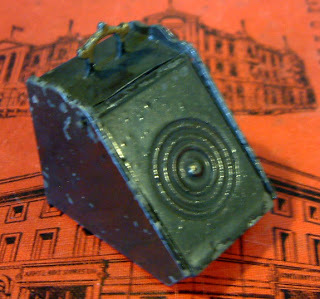 telephone marked GERMANY and was obviously once a pencil sharpener as the hole at the back is a bit of a give away....although the sharpener mechanism has long gone. 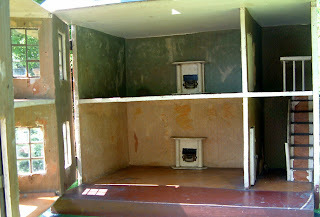 Next up is this curious cardboard radiogram, which actually came along with some 1930s-1950s dolls house furniture. 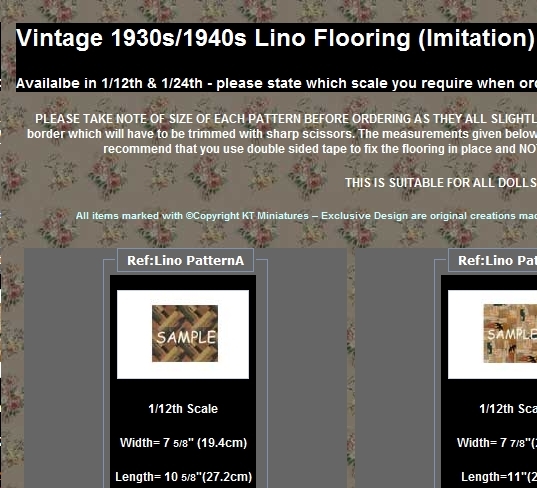 I cannot make up my mind whether it is from the 1930s or from the 1950s....but pretty old whatever era it hails from! If anyone has any useful comments about this....do let me know as I would be interested. 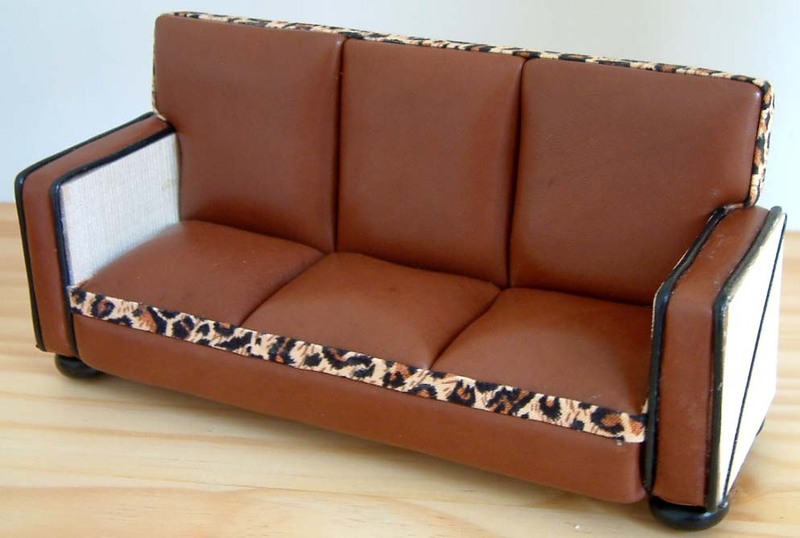 Obviously commercially made but I certainly have not seen one made out of cardboard before. 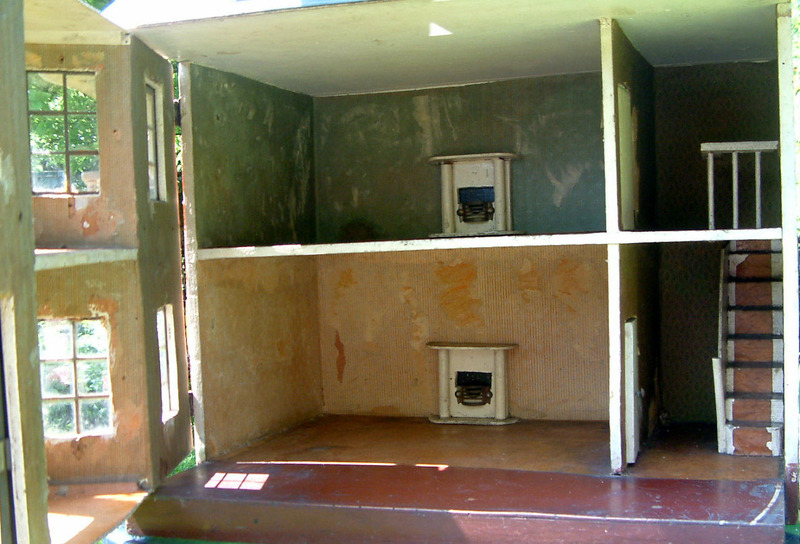 And finally......coal boxes are not that rare but it is nice to have an old metal one for a change. It's believed to be early 1900s with a nice ornate handle on the top, as well as a loop on the back where a shovel would have once sat.....long gone sadly. 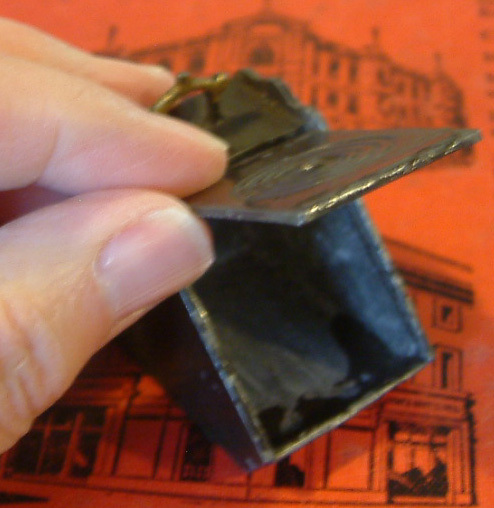 The lid lifts up and how fabulous this would look with some real coal inside! 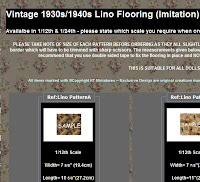 ANTIQUE 1/12TH LIVING/DINING ROOM PAGE. Bit Of A Do In Thame Today! Well.....there was a bit of a do today in Thame. RAF Halton were to have an inaugral freedom of Thame parade through the town....complete with royal visitor. So there we all were, local children and some local residents (not many I have to say)....lining the streets in anticipation. In the end, the band started playing and set off in the opposite direction to where we were....so, rather bored and also decidedly underwhelmed, we made the decision that it was time to go and do something a little more constructive. But then as we began to leave, the royal visitor appeared to embark on a brief walkabout, so we finally caught sight of her. And well, yep...the royal visitor turned out to be Camilla! If you look carefully you might just see her blue hat! Someone told us that the band would be marching back again so we went back and stood where we originally were. 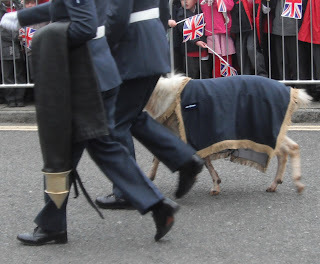 So I have to say that the band were superb, the RAF personnel marching past with fixed baynots looked very grand and George their goat mascot looked suitablility impressive. It was almost worth us having stood around in the freezing cold for nearly 2 hours. I was told by a lady standing next to me that apparently George has been for ever more assigned to the back end of a parade now, due to him pooping! 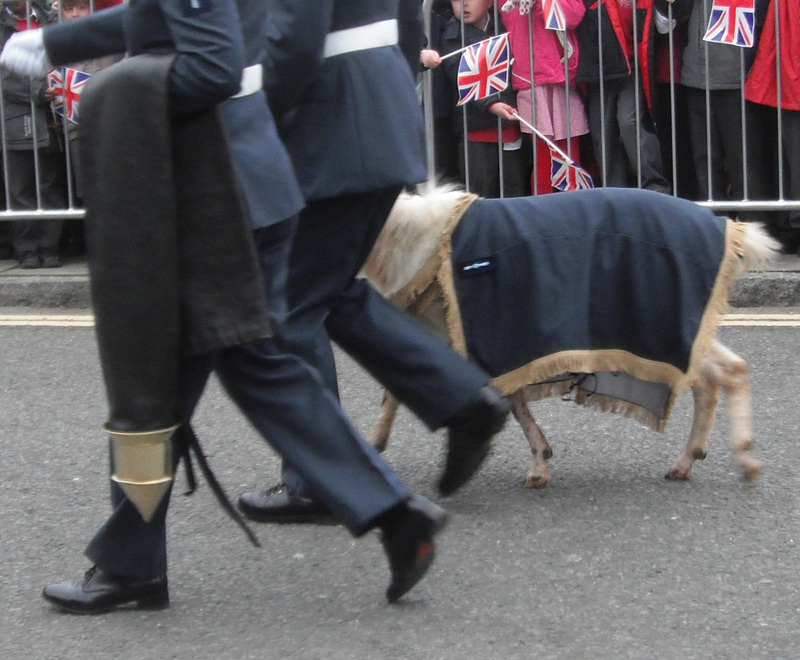 But he did look rather handsome in his official coat. So there you are....bit of excitement over and I will now try and get back to some serious work. 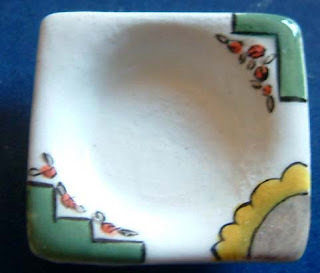 I have some rather lovely vintage goodies to list on the website over the next 24 hours....so watch this space! HUGE MEGA RISES IN UK POSTAGE!